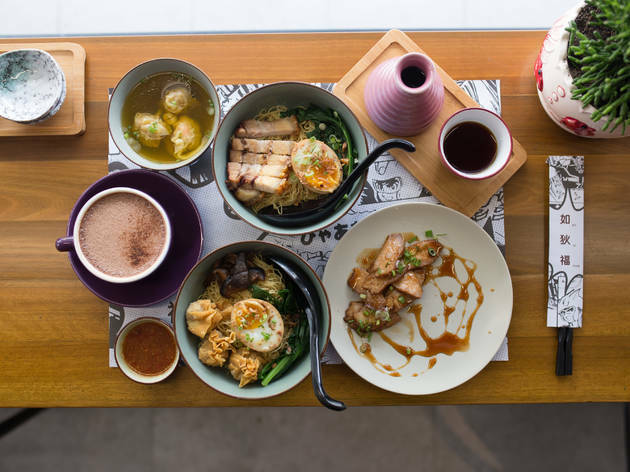 Ru Di Fook is the latest addition to the slew of cafés in Kota Damansara. 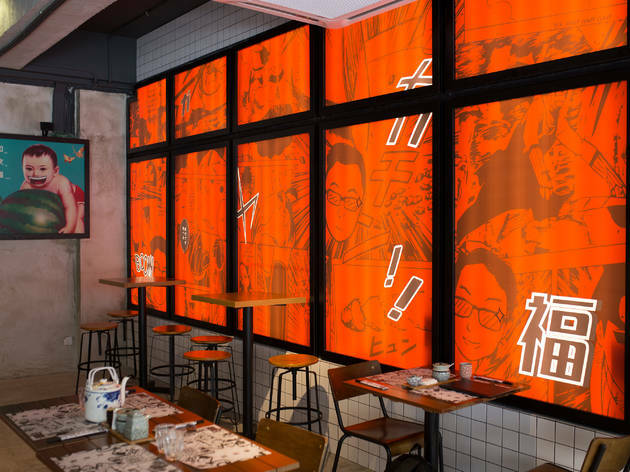 Inside, the décor boasts a mix of Chinese and Japanese influences; a couple of neon signs and manga-style graphics give the place a cool neo-Tokyo look to it. 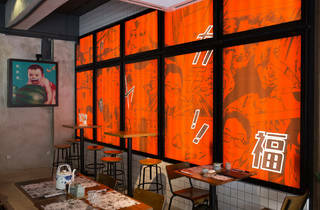 The part-Chinese part-Japanese theme in the décor spills over to the food as well. Ru Di Fook’s signature items are their selection of wan tan noodle dishes; a regular bowl here includes egg noodles cooked al dente, topped with bits of fried pork lard, fried wan tan, kai lan and half an onsen egg. Additionally, the dish comes with a side of boiled wan tans in scallop soup. You can also get the wan tan noodles with other toppings such as siu yuk, mushrooms, nam yue pork and more. On the drinks menu, Ru Di Fook offers a compact selection of coffee, tea, cocktails and beer. For coffee, the beans used here are on weekly rotations. Get the V60 filtered coffee – it's served in a saké flask and cup. Desserts options aren't plenty, but they are interesting. ‘Tian Mimi Chawanmushi’ is a highlight – it’s basically the classic fu chuk yee mai tong sui but with a modern twist. 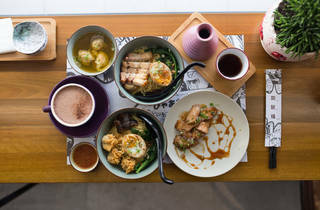 On a bed of soy chawanmushi, there are ginkgo nuts, barley and a hard-boiled quail egg; and on the side, sugar-coated fu chuk which you can crumble into the chawanmushi for some crunch.